I am a big baseball fan. Having been born and raised in New England, I am a die-hard Red Sox fan and used to say I was cursed to be so. However, with the 2004 and 2007 World Series wins, the Sox are no longer the sad sacks of the MLB. However, my love of Chicago has made me a Chicago Cubs fan as well – so I guess I am still cursed. Every time I visit Chicago when the Cubs are in season, I try to catch a game at Wrigley Field. The first thing I look for is an opportunity to see a weekday game in the afternoon. In the past several years, the weekday afternoon game has become one of the most elusive tickets in the Major Leagues. However, the Cubs, having played at Wrigley for many years without lights, have always played the majority of their games in the early afternoon as opposed to the evening as most modern television contracts require. But each year there are a fewer and fewer day games even at Wrigley. So every trip I make to Chicago I try to catch the Cubs on a weekday. On this trip, I was pleased to find that the Cubs were playing the Astros at 1:20PM on June 29 (yesterday) and I planned to attend. I was running late yesterday, but thanks to high heat (it was 103 in downtown Chicago on Thursday) and nasty morning thunderstorms, the game’s start was delayed. By the time I made my way up to Wrigley Field from downtown, the game was just getting underway. The sun was back out (as was the heat) and the stands were full of the Cubby faithful and I had a great afternoon enjoying the game and the park. 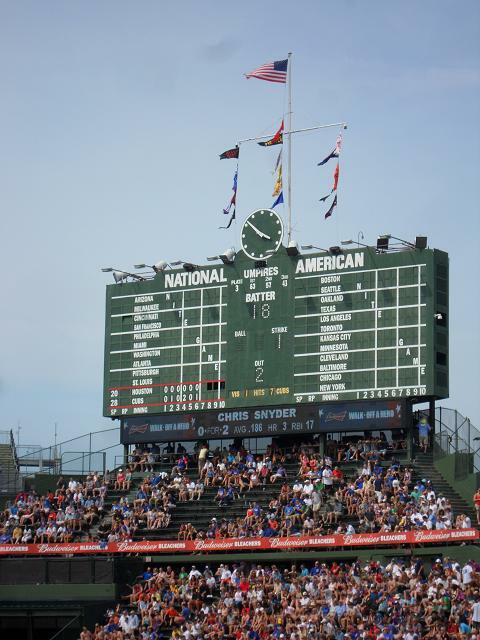 If you are planning a trip to Chicago, there are few things more Chicago than attending a Cubs game at Wrigley – and if you can manage a weekday afternoon game – I definitely recommend it. I was thrilled with the game I attended. In addition to great seats, great company, a pretzel and plenty of peanuts, the Cubs went on to beat the Astros 4 – 0. It may be too little, too late in the Cubs’ 2012 quest, but you can’t beat an afternoon well spent at Wrigley Field in Chicago. 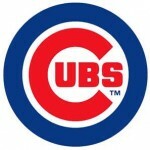 See the Chicago Cubs 2012 schedule here. Visit the official site of the Chicago Cubs here. Greetings from Chicago – that great American city on the shores of Lake Michigan. It is no secret to Lost Cowboy fans that I love Chicago and try to visit at least once a year – especially in the summer. I did not make it here last year, so I was particularly looking forward to this trip to get in my long overdue Chicago fix. I will be here for a few days, and will make a few reports in addition to collecting information for future posts. This trip is built around the Gold Coast Art Fair, which will be held this weekend, June 30 – July 1. I have been to this fair in the past and loved every second of it. I am looking forward to seeing the many artists who gather for what is known as one of the best annual festivals in Chicago as well as one of the biggest art fairs of its kind in the US. If you are able to make it to Chicago this weekend, I highly recommend a trip to this wonderful art festival. If not, and you like art fairs and art in general, make a note for a potential trip next year – I guarantee you will not be disappointed. 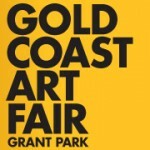 Read more about the Gold Coast Art Fair here. Were I to compile a list of some of my favorite things ala Oprah, it is a definite that salt would show up as on of my favorite food items and Portsmouth, NH as one of my favorite places. Mix the two together and I would be in heaven. Well, it happened! While walking around the cozy seaside city of Portsmouth recently, I stumbled upon the Salt Cellar. Not a salt cellar, but a store called the Salt Cellar. Which is a pun I supposed as the store is indeed located below ground. The good news for those who can’t make it to Portsmouth, the Salt Cellar has an online store where you can purchase some of their signature goods. You have to love a place whose tagline is: “much ado about salt”! Visit the Portsmouth Salt Cellar here. The summer solstice has passed and it is officially the season of long days and warm nights. Our minds turn to lazy days at the beach and cold treats to help us deal with the heat. 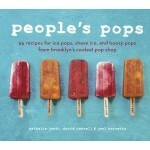 Which make the book, People’s Pops: 55 Recipes for Ice Pops, Shave Ice, and Boozy Pops from Brooklyn’s Coolest Pop Shop by Nathalie Jordi, David Carrell and Joel Horowitz, the perfect tome for the season. Even if you don’t follow any of these fun recipes, I think you will be inspired to find your own way to make a frozen treat to help you navigate the heat. But if you don’t try the Peach & Bourbon recipe I don’t want to know you. People’s Pops: 55 Recipes for Ice Pops, Shave Ice, and Boozy Pops from Brooklyn’s Coolest Pop Shop is available from Amazon and other fine retailers. I was doing some consolidating around the house the other day and realized that I have a real problem when it comes to notebooks and journals. I am a sucker for books of blank pages, which I use for taking notes and journaling. The problem is that I have way more books waiting to be used than I need. The real problem is that most of the books I have used in the past have way more pages than I need for whatever use I have assigned to them. I think I have found a solution to this problem – the great reproduction “vintage” notebooks for the wonderful Laughing Elephant. 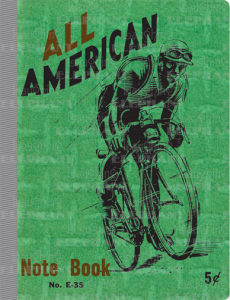 Laughing Elephant’s reproduction notebooks are perfect as they feature awesome vintage artwork (like this “all American” bicyclists image) and contain a modest 20 or so lined pages. The slim notebooks are perfect as you can fill a book easily and move on to another, without any waste. While I am on the topic of Laughing Elephant, they also have an awesome collection of postcard books featuring reproductions of classic postcards. See the vintage notebook collection from Laughing Elephant here. 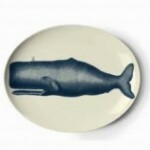 See all the fine products of Laughing Elephant here. I love bottles. I have quite a collection of bottles which I use as decoration here and there and occasionally as vases or vessels for other collections. I also have a secondary collection of glass bottles and jars – one that is taking over my kitchen cabinets as I hoard them as food storage devices. More often than not I am using a jar for some leftover and end up forcing a too large quantity of food into a too small jar, or a small amount of food in a large jar. By the way, this glass jar thing of mine is all about trying to minimize my use of plastics in food storage and reheating. Anyway, I just came across the Mecca of all things bottles, Specialty Bottle, a source for all sorts of bottles, jars, vials – glass and plastic. 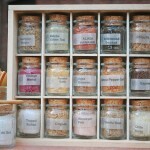 Looking around at the diverse options available at Specialty Bottle, my mind is swimming with all sorts of ideas of how to use bottles and jars. There are bottles perfect for creating a new spice collection and even some nice glass jugs perfect for moonshine. Literally something for everyone. 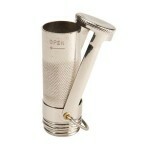 See all the great products of Specialty Bottle here. I feature some high-end finds here from time to time that are out of reach for most of us but fun to dream about. So I love when I find something I love that is relatively inexpensive but still cool. Such in the case with today’s find, the Coleman Match Safe from Farm & Fleet. This Match Safe is just one small items that is available from Blain’s Farm & Fleet, a wonderful Midwest retailer. Farm & Fleet currently has a great selection of products that are sure to help you make the most of the summer. See all the great products of Farm & Fleet here. Well, it looks like we WILL be back at Todd Farm today Sunday (June 24) for another great sale of vintage buttons and sewing collectibles from my mother’s vast collection, as well as some cool new vintage finds we picked up at various auctions and tag sales. The beginning of summer heat wave has finally broken and the weather looks perfect for today. If you are in the greater New England area, Rowley, MA is a nice place to visit and close to Newburyport and the beaches of Boston’s North Shore – so you can make a day of it. Look for us set up behind the barn with our white tent if the wind allows. If it is crowded, keep looking around – we will be there somewhere. For those of you who are too far away – I hope you have a great relaxing Sunday. Cheers! Last summer I made several posts featuring fun stores I found in resort areas that cater to the lifestyle of summer and/or seaside living. I continue to come across such places, but none better than today’s find, the wonderful Daytrip Society of Kennebunkport, Maine. If you are fortunate to visit the lovely village of Kennebunkport this summer you can stop by the Daytrip Society retail store. However, you can also see the great items they offer on their website and have them delivered to your door, no matter where you are. See all the great offerings of Daytrip Society here. We will have a nice collection of what we like to call “smalls” – including a ton of new to market vintage buttons and sewing collectibles from my mother’s vast collection. Also on hand will be a slew books – which were popular at our last sale. 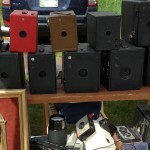 There will be a ton of new items freshly curated from the barn and auctions. We are also using new display trays that will let buyers sift through the smalls with ease. Look for us set up behind the barn (from about 6 AM – 1 PM) with our white tent if the wind allows. If it is crowded, keep looking around – we will be there somewhere. As always, we will post early Sunday morning (we need to be out by 4:00 AM to make the trip) to confirm our plans – something may come up or the weather could change, so stay tuned. If you are looking for something in particular you think we may have in our collection – send me a note and I will see if I can find something of interest to bring: jim@lostcowboyfound.com. Lost Cowboy is powered by	WordPress 5.0.4 and delivered to you in 0.985 seconds using 56 queries.